Fido/Rogers Employee Purchase Plan: iPhone 3G Time? Lots of people out there are still debating about whether or not they want the new iPhone 3G. Well, Fido users seem to have all the fun with their early evening plans versus Rogers. 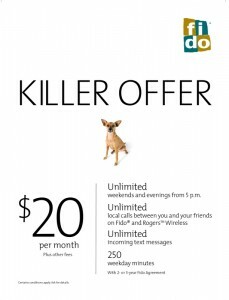 Currently, the hottest “plan” right now is the Fido Employee Purchase Plan (EPP) at $17.50/month (it’s also being offered by Rogers, but evenings start at 6pm; some folks have even been able to add $2 for 5pm early evenings on Rogers). 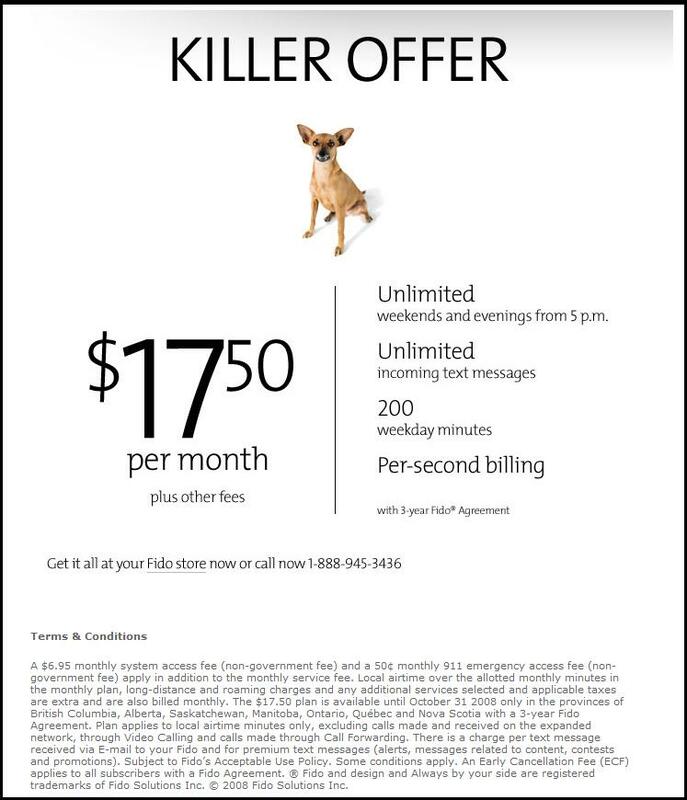 What do you get for $17.50/month from the Fido EEP? 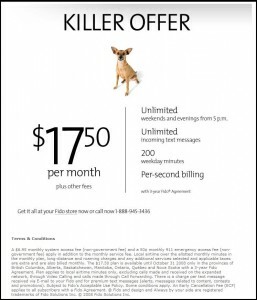 If you get the Fido EPP at $17.50/month on a new 3 year contract, you are eligible to purchase an iPhone 3G for $249. If you’re on an existing plan, you can just switch to the $17.50 without re-signing for 3 years. What does it take to be eligible for the EPP? Become part of any organization such as Air Miles, Esso Extra, Costco…and you can join. Some users have been able to add the plan without submitting any membership info to CSR’s. Why Get the EPP Plan? I signed my wife up for the $17.50 “killer plan” on Fido today (new account), and got the iPhone 8GB with it. If she just uses her old Fido phone, we can sell the iPhone for about $500…that’s $220 more than the $249+tax cost, so that $220 is like a $6/month saving spread out over the life of the 36 year contract. If you don’t care about getting a new phone, $11.50/month + SAF + 911 + tax is a pretty good deal. EPP + iPhone 3G Possibilities? What about those that want to use their iPhone 3G? Another possibility is getting the $17.50 EPP and coupling it with the extended 6GB/$30 data plan. Add in the $15 value pack like Ruffdeezy did and you will have yourself a decent iPhone 3G monthly plan. Don’t want data? Call in and get Rogers/Fido to block data on your account to avoid incurring data charges (keep calling in until you get a CSR that will block it for you). 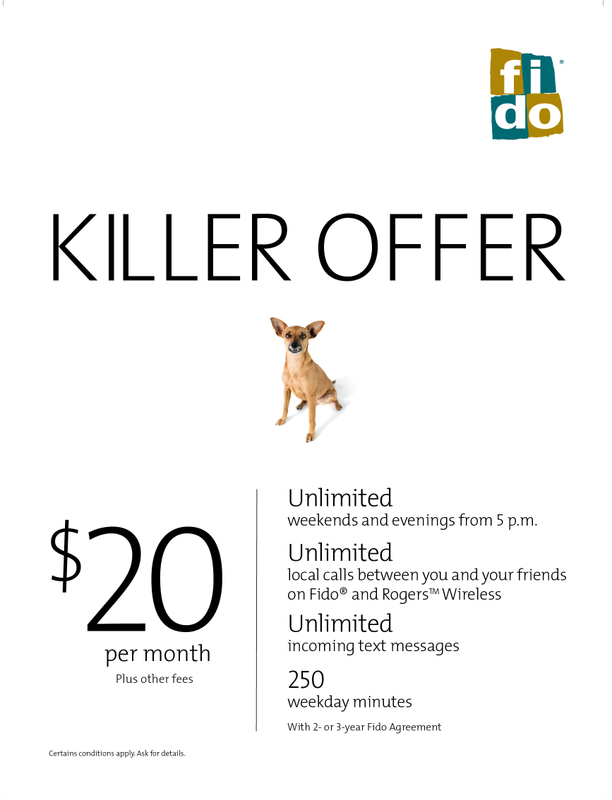 One of the big advantages of choosing Fido over Rogers is billing by the second. That will save you big time on your daytime minutes usage. Take in the early evenings at 5pm, plus Fido dollars that you can use towards the future purchase of hardware, and you have a pretty good no frills monthly plan! The EPP ends October 31st, so if you are looking for a cheap, basic monthly plan, better act now! Has anyone out there made the switch to the EPP, or is thinking about it?